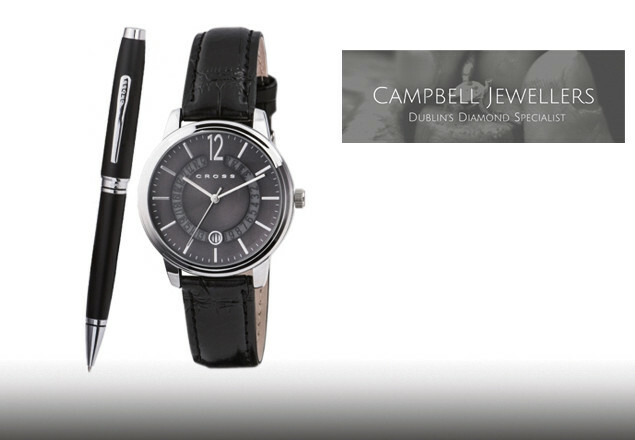 Rewarding Times are delighted to partner again with Campbell Jewellers to offer you this beautiful Cross Pen & Watch set for an amazing €95 (RRP €200). A classy, sophisticated and cool watch and pen gift set by CROSS, this gift set is elegant and functions to a high capacity, serving you well in business, home and travel.This watch gift set is an ideal gift for him this Christmas, as well as being the perfect Corporate gift. 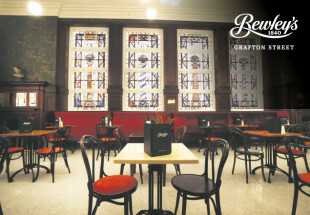 The CROSS name has been synonymous with quality writing instruments, and recently, its collection has expanded to include other fine accessories including timepieces, leather, eyewear and journals. All Cross pens come with a lifetime guarantee. Please place your order by Friday 8th December 2017.